Our tuned acoustic expansion chamber technology allows us to deliver extended high frequencies without sibilance or fatigue. We optimize our driver performance by adjusting the volume of space available in front of the driver. This is superior to the typical “Tube+Dampener” system because it provides a direct passage from the driver to your ear, which results in unsurpassed clarity and extension. Our Polarity Tuned Chamber allows us to optimize the sonic performance of our dynamic drivers. Deploying particular volume cavities, both in front of and behind our dynamic driver, we can pull bigger sounds from smaller drivers. This also gives us the ability, in the case of hybrid designs, to specifically target the driver performance. Close attention to detail is critical to delivering you the superior musical experience from our earphones. Solaris features an acoustically optimized interior model that allows each driver to deliver the very best sound quality. When heard together, the drivers offer a seamless musical experience as a result of this process. JesusCrew, Luisonic, B9Scrambler and 4 others like this. The Marriage of Heaven and Hell-- or how I learned I'm not a basshead. Sitting here enjoying my coffee and my Solaris on the first day of spring break proper and it feels like a good time to jot down some impressions. Before I say anything I want to take a moment to re-emphasize the importance of trying something for yourself, or at the very least taking everything you read online with a massive grain of salt. I'm fairly new to the world of high-end IEMs and in the comparatively brief time I've spent perusing forums and reviews I've come to the conclusion that nothing can substitute for actually LISTENING to something for yourself. Pick any great IEM you want and if you read enough you will find people who hate it, people who love it, people who say it excels at this or that and others who say it's weak in those exact areas. So many times I tried to get to the bottom of whether a particular IEM was right for me and I'd only find myself bewildered at all the varying opinions and perspectives. Even people who are often in line with my views and preferences will occasionally say things I disagree with-- it's all part of being human. Psychology is a funny thing-- you can read 100 glowing impressions of a product but all it takes is one false note to throw everything into doubt in your mind. Another thing is that it seems to me that people in this hobby are prone to a funny sort of auto-suggestion. You can read dozens of glowing impressions and then someone will come along and say something like "I tried to like it but I noticed a hollowed out sparkle register in the lower mid-treble and I couldn't get over the tonally imbalanced dynamics of the floo floo-- here are some graphs which back that up". Invariably following that there will be a string of new impressions, and a few of the originals will come back and say "well I liked it originally but when listened to it again I really noticed that hollowed out sparkle register in the lower mid-treble and those tonally imbalanced dynamics of the floo floo". Then along will come someone like me who doesn't know any better who will think "oh wow I was considering pulling the trigger on this, and I have no idea wtf any of that means but it sounds bad...maybe I should hold off". Then later on I'll get to try the thing for myself and I'll think something like "I don't know what any of those people were talking about-- this thing sounds amazing." Prior to having the Solaris I had thought that my ideal was along the lines of a V shaped signature with a robust and powerful low end and just enough sparkle and detail in the treble. While they're both amazing IEMs I much prefer the Atlas to the Andromeda-- I'm not a fan of BA bass in general and, as much as love the detail and precision of the Andro, in a pinch I would rather have the bass of the Atlas...and I did for a few weeks before picking up Solaris. When I went to demo Solaris my idea was to pick up something to compliment the Atlas. I had read many impressions of Solaris that said it lacked bass or that "bass heads need not apply". With that in mind I figured the Atlas would be main daily with Solaris stepping in every now and again to give me something different. I then made a playlist of songs I felt would sound great on Solaris (and a few Atlas favorites for comparison) and headed to Headphone Bar in Vancouver to try it out. A note on fit: I am a large man with a large head and large ears and the Solaris fits me perfectly. Even Travis at headphone bar commented that the Solaris fits me as well as the Andro fits him. The memory wire holds it in my ears perfectly, it doesn't protrude at all and I can wear it for hours comfortably. Also, make sure you find tips that give you a good seal. I have read a few impressions by people who complained of the "hollowed out mids" but were able to mitigate it with the right tips. When I arrived at Headphone Bar on Saturday I had been listening to the Atlas straight for a number of hours-- so I had impressions of its signature firmly in mind. I was able to sit down in the shop with an Andromeda and Solaris for over an hour going back and forth between the two forming impressions. Regarding the Andromeda, it was just like I remembered from prior demos-- amazing in its own right but not my ideal signature. It would never satisfy me as my sole daily like the Atlas did. 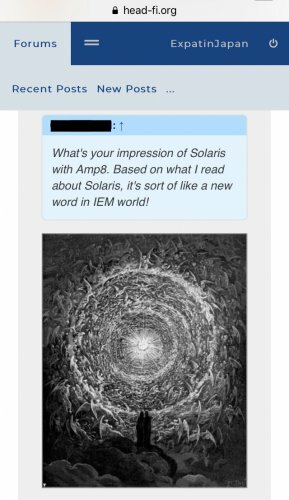 When I tried Solaris I was totally blown away. Expecting a lack of bass I found all, or at least enough, of the Atlas sound present to totally satisfy me. Instead of a lack of bass I found near perfect balance. I don't have the vocabulary to really do this justice but all I can say is that when listening to some of my favorite tracks for bass (Exodus by Bob Marley or Not Exactly by Deadmau5 to name two) I found absolutely nothing lacking. Instead what I found was the meaty dynamic bass of the Atlas thumping below me with the precision, detail and sparkle of the Andromeda whispering in my ears. Having previously been listening to these same songs on the Atlas for much of the previous day and month I didn't find myself missing anything at all. In addition to the Atlas quality bass Solaris delivers a vastly increased soundstage with all the best features of the Andromeda woven in and around it. I stand by my original impression: Solaris is Andromeda plus bass-- a beautiful synergy of the best of both the Andromeda and the Atlas. When I first demoed the Atlas I fell in love with its massive sound. The Solaris takes that massive sound, stretches it out and fills in all the spaces with detail, holography and pinpoint precise nuance. Put Another way, listening to the Atlas feels like you're in a small room (though it took the Solaris to make me realize it was small) with the bass and treble in the forefront (ie., a V) and everything else a little bit further back. The Solaris takes that same bass and treble, puts it in the centre of a bigger room and surrounds it with lush layers of extra detail and mid/treble flourish a la the Andromeda. So while it's true that the low end doesn't dominate with the Solaris like it does with the Atlas-- you can still very much tell that it's present, only dispersed over a larger soundstage. Quite frankly I find myself too wowed by all the detail, sparkle, precision and space that have been added to mind the decreased emphasis on the lower end. Again, I still sense it there, I don't feel it's lack, rather I'm too busy focusing on the Andromeda-like loveliness that's now filling the gaps. It's not at all what I was expecting bass-wise from the Solaris based on the reviews I'd read...maybe the lesson is that I'm not a basshead after all? When I got the Atlas I raved that it was all I ever wanted-- but with the Solaris it's all I ever wanted from the Atlas plus everything I didn't know I wanted from the Andromeda. I have probably close to 30 hours on the Solaris and it's only getting better and better. When I went to try it I imagined that I would prefer Atlas maybe 70% of the time and use Solaris for the remaining 30% but what I'm finding is that just about everything sounds way better, fuller, on Solaris. There is a bit, maybe 5% of my music that I would rather listen to on Atlas, but this mostly (I think) boils down to poor mastering. The Atlas is more forgiving of this than Solaris in this regard. My takeaway from all of this is that maybe my preference is for a more neutral sound signature-- and with an IEM as honest and well executed as Solaris it's a match made in heaven. One thing about Solaris that is unique for me is that it's perfectly satisfying to listen to at very low volume. Usually I'm one to crank the volume-- I was always resisting the urge to do this on Atlas. With Solaris I can sit there with my Fiio M9 on 30 and not miss any detail, bass or sound quality. I will not be looking at new IEMS for a very long time. It these are at all on your radar, and you have the ability to try them without putting yourself out too much, you owe it to yourself to do so. If you have the Solaris and the means check out In the Gallery by Dire Straits-- it brings to the forefront everything Solaris does best. I have admittedly not heard a wide variety of TOTL IEMS so I can't do any worthwhile comparisons-- all I can say is that, for my tastes and preferences Solaris does everything right. Nothing is lacking-- and, again, this is coming from an Atlas fanboy, so take that for what it's worth. 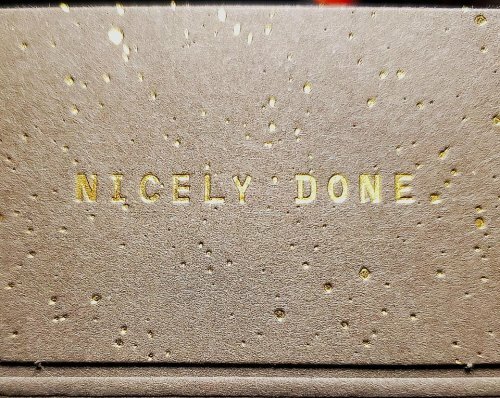 It sounds cliche but my heart just says "Nicely Done". Edit: After a week and probably close to 60 hours of listening one thing I'm appreciating more and more about the Solaris is how balanced and cohesive it is. Nothing stands out yet at the same time everything stands out. I've never tangibly perceived such a sense of unity from portable music before-- I can focus on each level and be totally wowed but at the same time sit back and appreciate how seamlessly it all blends together. If I were to chime in on the burn-in factor at this point I would say that as the hours wear on with this unit the sound becomes more and more cohesive. When I first tried it there was a vague sense of each of the different layers working to carve out their respective spaces but as the time wears all on of that dissolves into a serenely engaging unity. It doesn't matter what I'm listening to-- I can engage with each of the different layers if I choose but it's also easy to sit back and embraces the whole of the sound and not be distracted by any particular layer of it. Whether it's due to actual burn in or psychological burn-in who's to say but I think it stands as a testament to the quality of the tuning on this thing (for those who prefer a more balanced signature). I will edit again in a few days if I've noticed anything significant after the mythical 100 hour burn in has been achieved. Misson07, evolutiontheory, McPerk and 2 others like this. Before starting this review, I would like to share technical aspects and package details. Also, I am so thankful to Ken for this great opportunity. 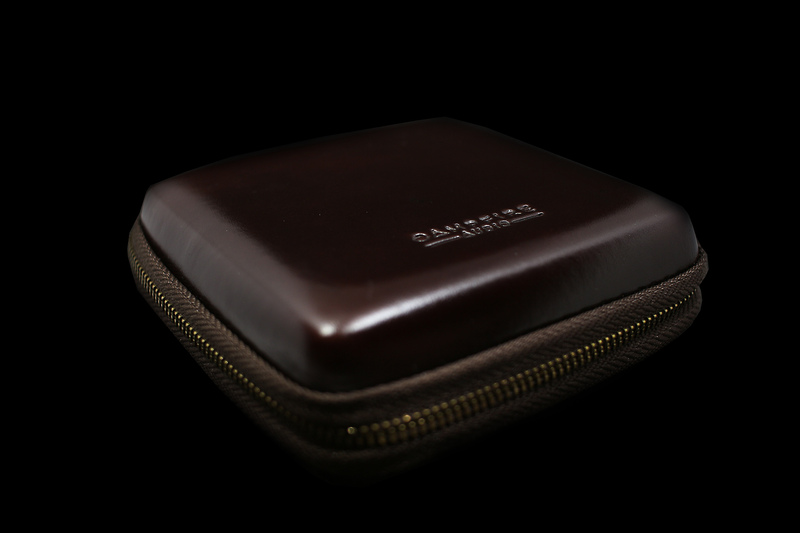 Solaris comes with the famous Campfire Audio box design, but this time box size is bigger than the other models have. 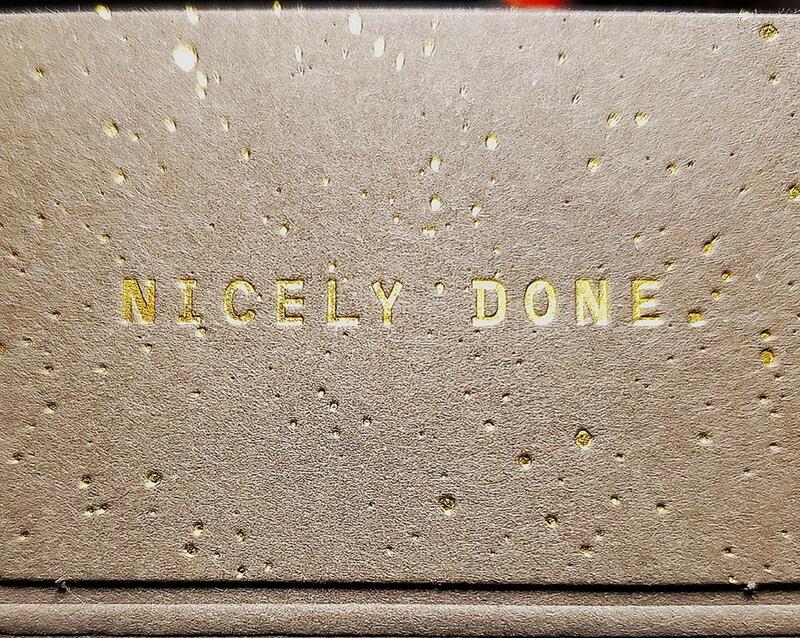 When you open the box, first thing that you notice is the new leather case. Like the other Campfire cases, new case also made of quite high-quality genuine leather and again like other CA cases, inner surface is covered with soft cotton material. New case’s shape is square instead of other models’ rectangle shape. I really like the case, it feels and looks premium. Another great thing about Solaris is the new Super Litz cable. Cable itself is soft and tangle free and it looks gorgeous, but one thing that I don’t like is the memory wire. I wish it doesn’t have memory wire but you can get rid of it very easily. There are some instructions how to remove memory wire that some users already shared. Last new thing about package content is the new earphone protection sleeve. This is really great to store earphone safely. As you know, Solaris is made of aluminum and its paint can worn off if it hits somewhere, so this is great way to protect your earphone. 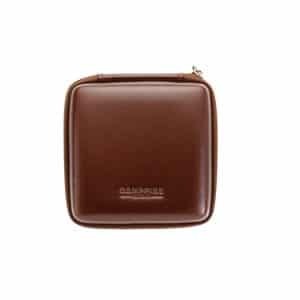 Other accessories that come with Solaris are same as other models. Marshmallow tips, silicon tips and cleaning tool. In the and, package contents really great. Thumps up. 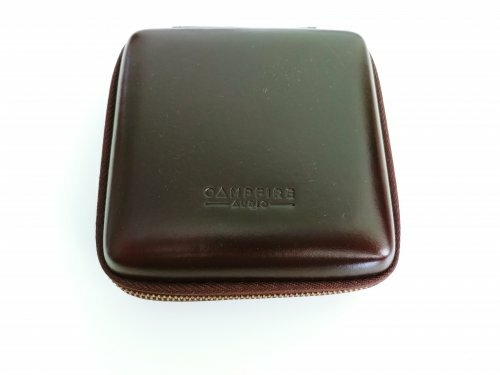 Campfire Audio made some design changes with Solaris, and this is way different than the old Andromeda, Jupiter, Atlas or Vega design. I really like the new design and color choice. Body size is bigger than any other CA earphones and ergonomically I couldn’t find any discomfort issue. It fits like a glove to me, but some people who has small ear might have some fit issue. Personally, I prefer Solaris fits instead of Andromeda or Vega. Overall, I do think that the fit and physical comfort of Solaris is very good. 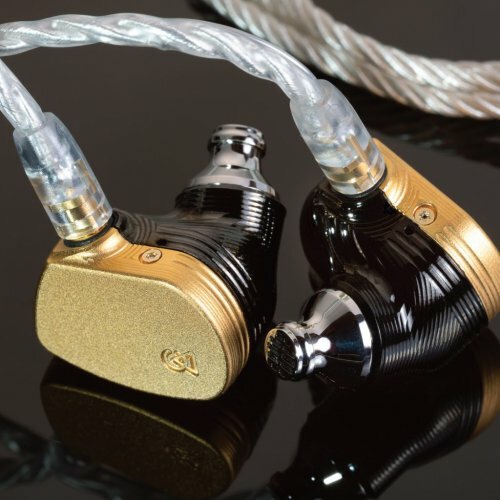 Like other CA models, Solaris is also made of beryllium copper MMCX connectors. I always prefer 2 pin connectors but Campfire is the only brand that I trust their MMCX connector, I never had any issue with Vega or Andromeda. Also, I never read any issues with their products about MMCX issue. 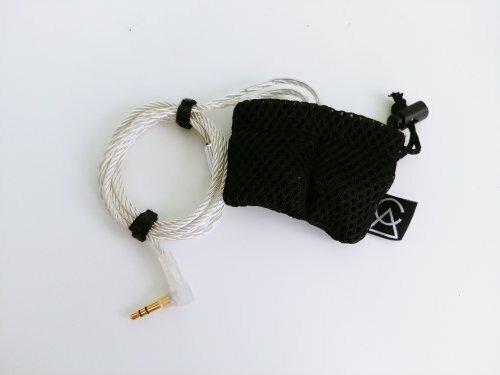 In the past, there were some earphones that I gave up to order because it has a MMCX connector, but I can comfortably say that the Campfire Audio products are pretty solid in this regard. Solaris looks really beautiful. This is the most beautiful IEM I’ve ever had. Much better than the pictures. Finish and workmanship are stunning. When I got the Solaris, I just looked like half and hour before listening. If you are using outside just be careful because it seems pretty like jewellery. Actually, it is jewellery. Isolation is pretty good. I tried many different types of tips and I have never gotten any isolation problem. Also, Solaris very tip depends earphone. There is a slight difference in sound signature between some of tips and I’ll share my impression below. Like Andromeda, Solaris has low impedance level, so you might get hiss with some of your sources. I’ve heard some hiss with my Lotoo Paw Gold Diana, and Megamini. AK120 and Opus #1 are much more acceptable hiss level when I compared to others. If you hear some hiss with your source, I can recommend to use ifi iematch which you can reduce hiss or minimize. Also, Solaris is easy to drive, so you can use them with any kind of source. Before getting my product, I’ve read lots of things about Solaris. Some comments say speaker like sound, some other says holographic soundstage and bass light. For me, the overall sound itself is crisp and clear highs, musical and detailed mids with forward vocals, and powerful and bodied bass. Presentation is neutral and slightly warmer. I find Solaris works well for a wide variety of music while my tastes towards Vocal, EDM and Jazz. Most of people are comparing it with Andromeda and if I have to follow that path, Solaris is more like homogenized Andromeda for me. I think the biggest differences between Solaris and Andromeda is in the bass department. Bass is more pronounced and authoritative with Solaris and sub-bass can go deeper. As many of you know, Solaris using the same dynamic driver with Atlas but more bridled way. Bass quantity is not like basshead level but it is absolutely powerful and enough to satisfy to many people who loves bass. Mid presentation is smooth and detailed. Vocals are the most part that I liked it. Both male and female vocals are fantastic. I really like Reborn’s vocal performance, it is emotional and smooth and Solaris is doing the same emotional vocal presentation with more realistic tone. Solaris’ treble is my another favorite part of the sound. It is silky smooth and highly detailed with good sparkle. Although prominent trebles, I’ve never ever heard any sibilance or harshness in this area. Soundstage is massively wide and deep. Overall, I really like Solaris and it sounds really special. I was stunned what I was hearing and I didn't want to stop listening since I received. The treble is one of my favorite part of the sound. It extends quite well and has a nice sparkle without being too much. Who doesn’t like Andromeda’s highly extended trebles may like Solaris’ smooth and less spiky trebles. But of course, it doesn't extend like Andromeda’s highs. There is less treble energy and extension when I compare with Andromeda, but this is already more than enough I believe. Some of you guys knew S-EM9, its trebles are really detailed and prominent. When I switched back to the Solaris to S-EM9, S-EM9 felt like rolled off and veiled, but of course it is not. My ears are accustomed to the prominent trebles of Solaris, maybe you can guess more or less how much is the quantity. As I said before, Solaris is really special in high frequencies. Trebles add air and space between instruments. Every instrument is very easy to listen. Cassandra Wilson – Tupelo/Honey Angel. Cymbal, trumpet, strings and every other instrument are crystal clear. I listen this song many times with Solaris. The reason that I listen many times is enjoyable to listen with Solaris, not because it’s a great song. It is great but not my favorite songs from Cassandra. I highly recommend Solaris owners to listen this song. Trebles are very easy to listen to for long periods of time because of the smooth and relaxed tone. I have listened Nils Lofgren - Keith Don't Go Live Performance (it is available on Tidal) many times with pleasure. The guitar sound is extremely crisp and airy and you can hear every scratch and details in the music. Cymbals are clear and shimmering without sibling. Solaris’ mid frequencies are well textured and tonality is smooth. Instrument and timbre tonality are a tad thicker. Overall tuning is U shape and mids are a bit recessed because of prominent bass and treble frequencies but vocals are pretty forward. One aspect that stands out in the sound of the Solaris is the vocal. Vocal presentation is forward and lush and it makes vocal sound emotional and smooth. Both male and female vocals are well presented. Lifelike instruments separation and smooth vocals that make you smile while listening music. Mids are rich and warm, and super clear with excellent separation between instruments. I read some comments mentioning that Solaris has bass light and I couldn’t understand how its bass light. Solaris’ bass quantity is absolutely great in terms of quantity and quality. It is not like Vega or other bass heavy earphones but I never call it is lack or bass light. Of course, this is not bass head earphone, if you are looking like earthquake bass, Vega or Atlas are better choice that’s for sure. I love Andromeda bass, it is fast, detailed and highly coherent, but sometimes I wish it has a little bit more bass. And now with Solaris my dreams come true. Bass has great quantity level and it is not dominating or bleeding other frequencies. Also, it is not boomy or too exaggerated. Atlas’s diamond carbon dynamic driver doing its job greatly. Bass sounded so natural with just the right amount of presence that I really impressed. If you are a bass-head or who likes tons of bass I'd recommend look somewhere else, but Solaris’ bass is strong and powerful enough to feel punch and rhythm in the music. It's all personal preference though. Bass is well controlled and pretty fast for a dynamic driver. When I compared with my Oriolus Reborn, I noticed that Solaris’ bass is way faster and recovery time is noticeably better. The Solaris’ low-end is well controlled very well articulated. Solaris’ soundstage is impressive to my ears. Not the best but one of the largest that I've experienced. With 3d and holographic presentation easy to pin point every instrument in the stage. I understand when people call it sounds like speaker. In some instrumental tracks, Solaris sounds like speakers are in front of you. 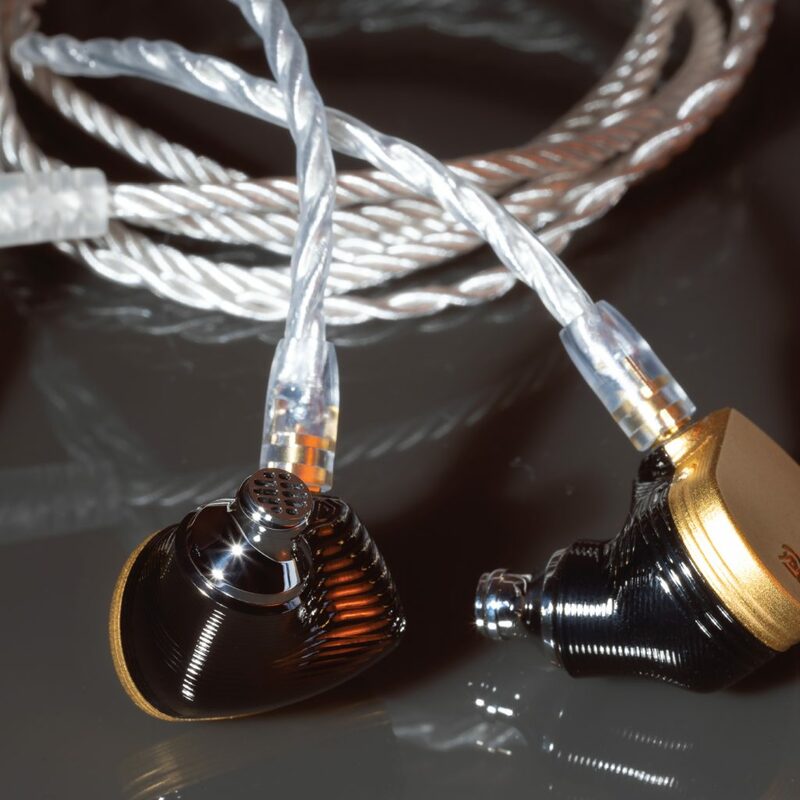 Andromeda is one of the most popular and well-known IEM in audio community and Solaris has some serious trouble against Andromeda in terms of popularity because Andromeda’s glowing spotlight hard to shut down. But Solaris is not trying to beat it because it has very different sound character and technical specs. I know this is cliché but this is most like to compare apple and orange, so same as here, Hybrid and Balanced armature is not fair to compare, but let me do it gently. The most distinctive differences between two earphones are "smoothness vs sharpness" and they harmonized the music from their own character. Andromeda sounds magical and crystal-clear highs are truly fantastic. Andromeda’s wow factor comes from its hyper detailed trebles and super holographic soundstage. 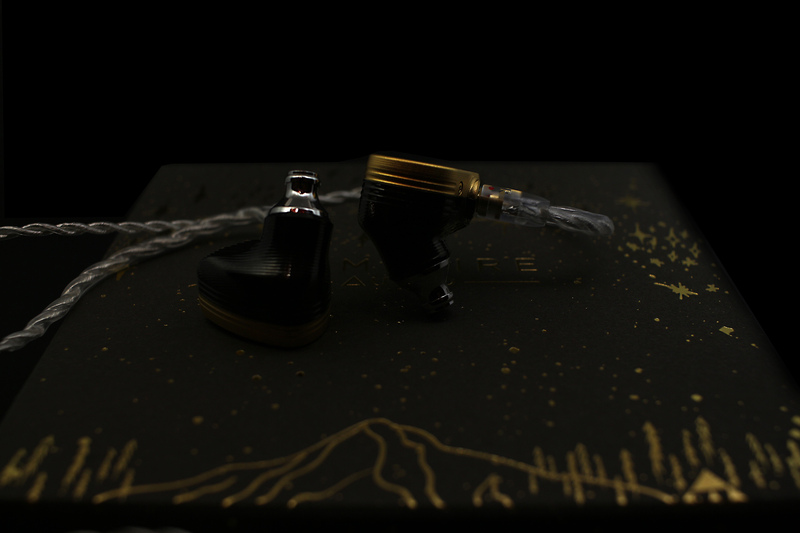 The sound of Andromeda is astonishing and I’ve never heard that kind of presentation from any IEMs. On the other hand, Solaris is another animal. It sounds clear and vivid on first listen and it felts Andromeda sounds thinner when I switched back Solaris to Andromeda. Also, Andromeda does not make you feel excited as Solaris. This is where dynamic driver shows its power. Solaris have more body and bass is more dominant in general presentation. Andromeda bass is faster and quicker decay, but not by far. Solaris bass is surprisingly well controlled and faster than I expected from a dynamic driver. I’ve realized it better especially, compare to Andromeda. Instrument tones are more realistic on Andromeda. Solaris is much more musical and livelier, so it is not trying to produce reference like sound. I can say the Solaris' highs are silky smooth while Andromeda is highly sharp and it has more sparkle, but Solaris trebles don't extend as high as the Andromeda, because Andro has more sparkle in the treble. Both earphones are highly detailed in the treble area, but Andromeda shows its details more forward way while Solaris shows smoother way. Both Solaris and Andromeda have pretty wide soundstage but somewhat Andromeda feels airier. Solaris has better depth. Both earphones are pretty sensitive. Well, there is no winner as you expected, there is a preference. Who likes flat, reference like sound and accurate tonality with amazing clarity, Andromeda is a better choice. On the other hand, who prefers warmer, bodied sound with high level of detail with resolution and breathtaking forward vocal present, Solaris is better. If I have to choose one of them. I choose…err…Solaris. Because it suits better than Andromeda to my personal preferences, but that doesn’t mean that Andromeda is bad or it lost. It is absolutely not. Andromeda is really special to me and always it would be. I’m happy that I’ve both in my collection. Before sharing my tip impression I’ve to mention that these impressions might change your experience because of ears anatomy, ergonomic wise and sound preferences. Also, all tips that I used are L size. Spiral dots are one my favorite tips that I have used, but with Solaris, I’m not impressed what I have heard. Bass has good rumble but somewhat lost their magic. Also, I couldn’t get good seal. I had to fix fit for every 10-15 minutes. I’ve never experienced this issue with my other IEM’s that I have. CP500 is the newest Spinfit’s product. 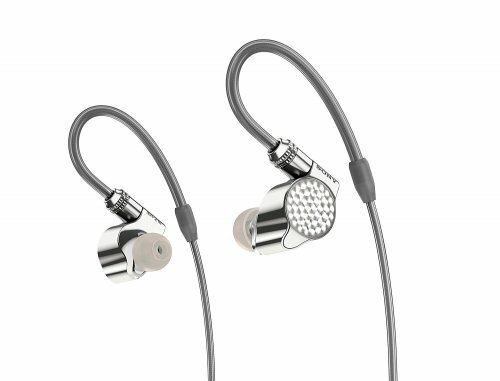 It is designed for wider nozzle earphones. Nozzle diameter size is 5.5mm which is great for Solaris. Personally, new full black color looks great but what about sound? Well, sound is pretty disappointment for me. I tried with different sources but the result didn’t change. CP500’s outer material is pretty soft, and it makes sound thinner and bass light. I couldn’t get a good seal and the isolation was also disappointment. Tips are wrinkling inside my ear and therefore cannot provide a good isolation. I was very hopeful with these new CP500, but result was pretty awful. This is my favorite tips with Solaris. Fits well, sounds well, looks well. Symbio peeled fit is much more secure than Spiral dots and CP500, it is going deeper and giving a better seal. Treble is less energetic than the CP500 but still prominent. Bass is more authoritative and powerful than the other tips. Soundstage is felts narrower than AET07 but very close in this regard. Overall sound is prominent bass with nice tamed trebles. Symbio peeled better than original Symbio (with foam) to my ears. AET07 is my 2nd favorite tips with Solaris. Main sound differences between AET07 and Symbio peeled is the high frequencies, but overall, they are very similar. On AET07 high frequencies are more prominent and clearer and it felts its soundstage is more open and airier. Bass is a tad of less punchy than Symbio peeled. Also seal and fit is very close to Symbio Peeled. I believe many people may like AET07. Well, Ken did it again. Every Campfire Audio product have some impact on the audiophile community, and now it is time for Solaris. Like other successful Campfire products, Solaris is another amazing IEM. I am truly amazed by its sound, design, and build quality. 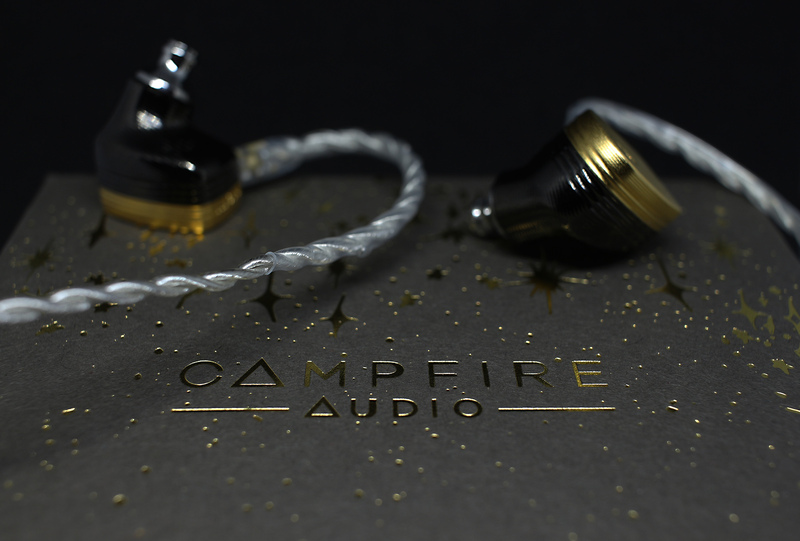 This is the most beautiful IEM in entire Campfire Audio products for my personal taste. The new Super Litz cable that comes with is really great with Solaris and no need to upgrade. Sound wise, low to high is every frequency has some special tuning like Andromeda. This is not reference sounding IEM, this is more like musical engaging and dynamic IEM which always wants to dance with you. 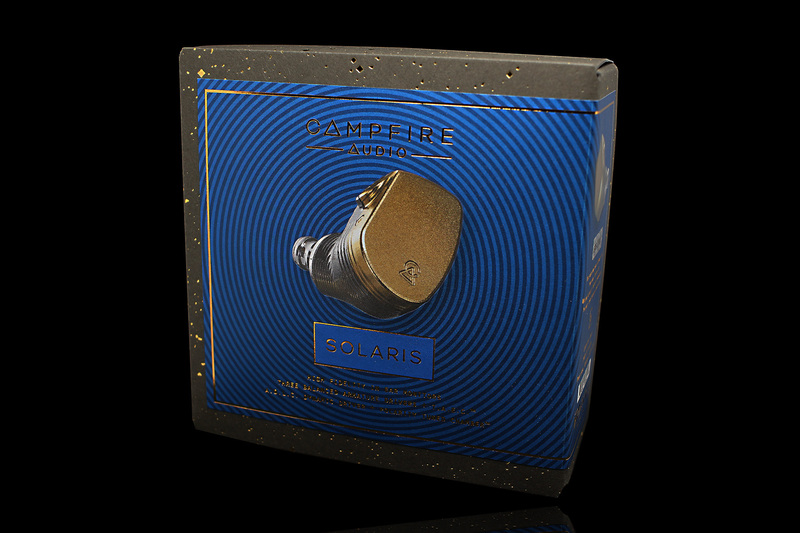 To wrap things up, Solaris is absolutely deserving new flagship status in Campfire Audio. Also, I would like to thank to Campfire Audio price policy. 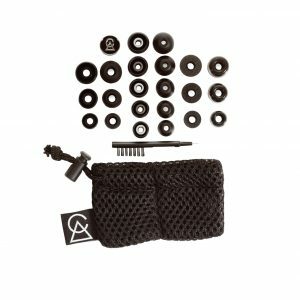 Nowadays IEM prices goes up and most companies increasing their price with every new model, but Campfire Audio still tagging a great price and I’ve always respected. Hope they won’t change their price policy in the near future. nichino, fokta, animalsrush and 7 others like this. @szore I've never heard Andromeda SS, but I have OG Andromeda. As I mentioned before Andro has very special tuning and I am also huge fan of its sound. SS sound is different than OG Andro I guess, so I can't tell anything about that, but I would like to hear SS one day which I can compare with Solaris and OG Andro. Cons - shells may be too big for some ears. Solaris is the summation of our experience creating earphones and the acoustic technologies we’ve developed and discovered along the way. It delivers a sound that is second to none." I first demoed the Solaris at the Fujiya Avic show in Tokyo at the end of October and gratefully received a pair for review along with a 4.4mm cable. 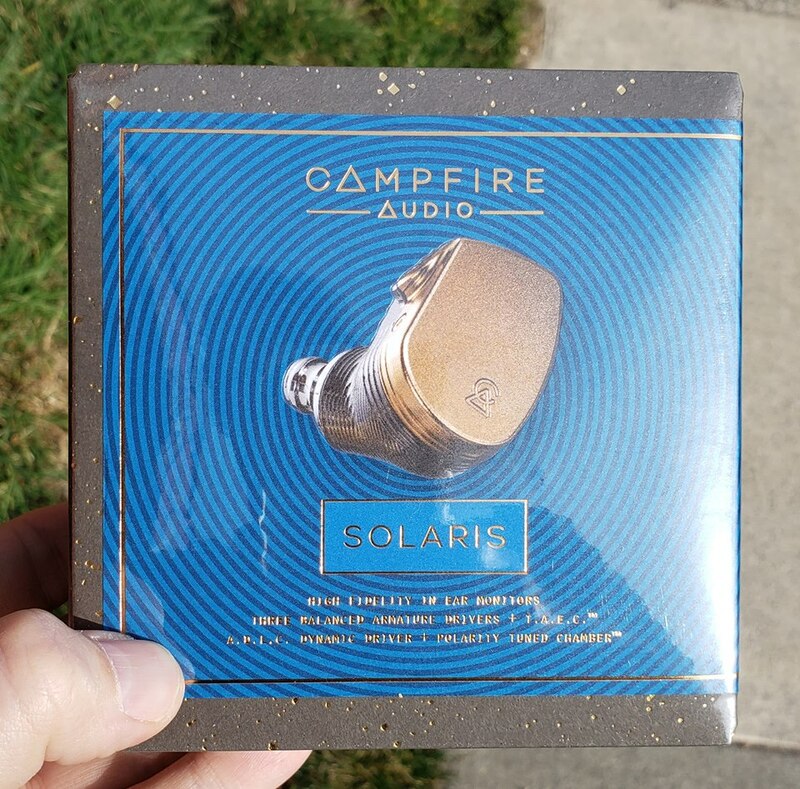 I was instantly moved by the experience, having reviewed most of the Campfire Audio line up already I had a decent overview of the different models current and discontinued, but I was also hearing whispers that this Solaris was something special. That this was the pinnacle of current CA development intrigued me. But certainly not, surely not enough to unseat the trusty well used Campfire Audio Andromeda I usually use, or so I thought. "Solaris is a hybrid design, blending the best of the balanced armature performance with the physicality of dynamic drivers. 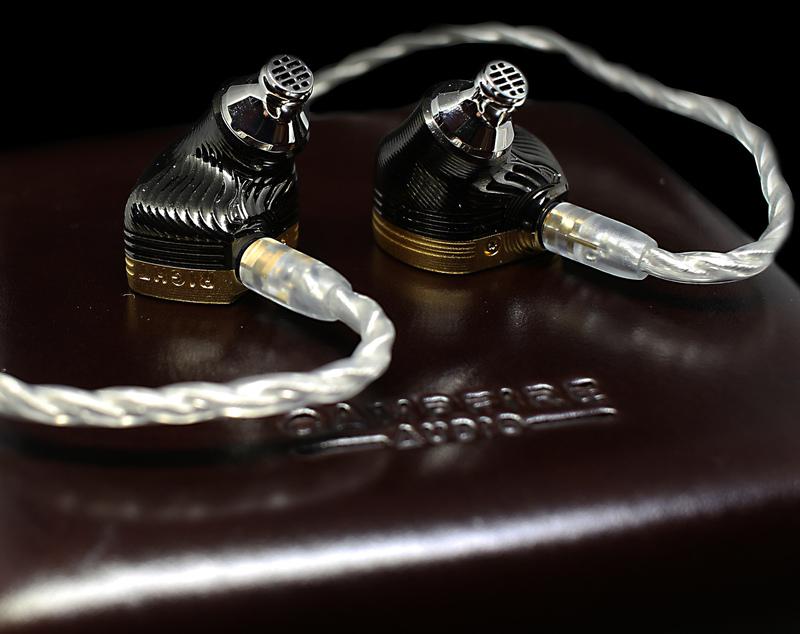 It features 2 custom balanced armature drivers paired with our T.A.E.C for extended highs, without sibilance or fatigue. A larger single rear-ported balanced armature driver provides rich delivery of mid frequencies. A specially tuned version of our 10mm A.D.L.C. dynamic driver, optimized with our Polarity Tuned Chamber, anchors the sonic performance with deeply engaging mid-frequency tonality and visceral bass response." 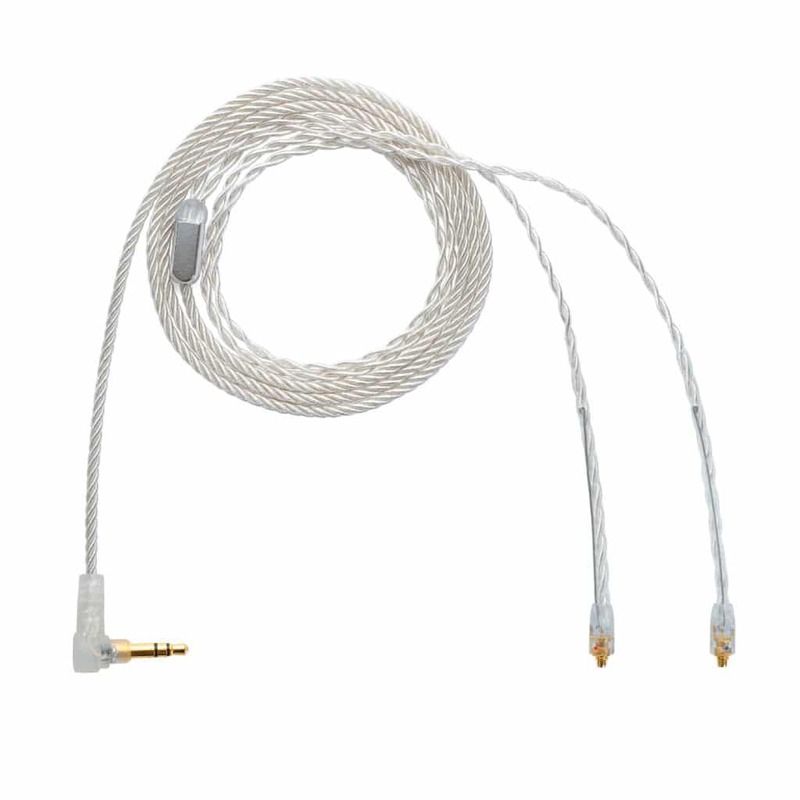 "Our new Super Litz cable is made from four large conductors of Silver-plated Copper Litz wire. Each conductor is individually comprised of a selected set of particular diameter strands. The Super Litz cable is the perfect balance of physical gauge and performance. Cleaning Tool – Earphone Protection Sleeve. I have tried the Solaris with the Atlas silver cable. The Solaris stock cable is physically thicker. The weave is the same. The stock Solaris cable is a better match. It keeps that full, rich and expansive sound that makes the Solaris addictive and delicious. I do find usually that the stock cables CA chooses to pair with their earphones are excellent choices. I do some cable rolling experimentation and mostly always go back to the stock/original cable. The Jupiter is my main exception. But the pair I have came with the earlier Tinsel cable. I often pair with the Reference 8 or the iBasso CB13. This was early days whilst I was still playing around with placement and tip size. Later on I achieved a deeper insertion and also angled the IEM more vertically. One might want to try a smaller tip size than usual. BTW I have small ears. Symbio W Peel by Mandarines became my go to tips for the Solaris. A nice thick silcone to keep the lows full and mids rich and a wide bore for treble. One can also see the general size as they are placed in my palm. The CA Solaris seemed to pair with most daps etc well. I found the WM1Z to have a certain warmth that was all enveloping and bought out each tracks emotion. The ALO Audio Continental V5 was also a great match, the Solaris loving the tube goodness. The iBasso DX200 with Amp 8 was also an excellent pairing. I decided to remove the memory wire from the 4.4mm so it may sit on my pixie sized ears better with great success. Super litz is outer plastic, metal wire, more plastic. *one also has to decide whether to clip the metal memory wire or pull it out completely. Another of my usual go to tips are the JVC Spiral Dots. I first tried the Solaris at the Fujiya Avic show which were a demo pair or Ken Balls unit hooked up to a Sony WM1Z dap by a 4.4mm Super Litz cable with foamie tips (see above photos). Ken Ball also choose the music which was nice. What did I think on that first impression? Bear in mind these are immediate first impressions, and I was on a PRESS card so the crowd had not arrived and it was fairly quiet. Oh and I do not like Foam tips. 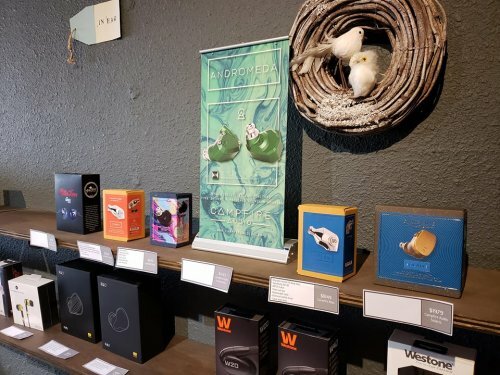 Solaris Notes, October 2018. FA Show. Wow factor (And I rarely get that these jaded days). I demoed a burned in unit with a Sony dap and 4.4mm cable. Using foam tips. Balanced and coherent. Even, but not flat or neutral. But towards that yet in a realistic sense. It even made me a bit on the verge of being teary eyed, so beautiful a sound. 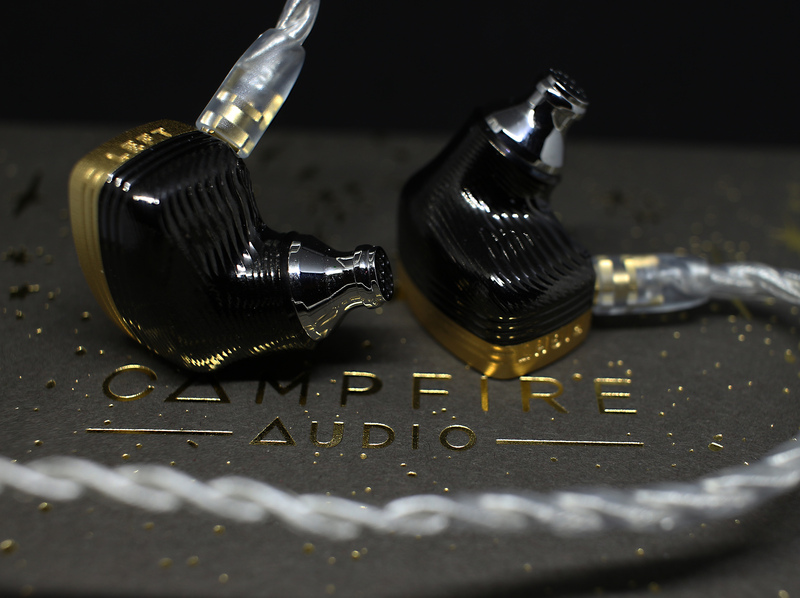 Certainly Campfire Audio have reached a high point of their development within the limits of todays technology. I remember the first demo unit I received from CA the Jupiter and being blown away at the time and later the Andromeda which improved on the Jupiter. I had a similar experience with the Solaris. *A short show impression but it certainly left an impact on me. I enjoyed it so much I did not get all analytical whilst listening to it. As the Solaris became my daily commute earphone my other reviews began to suffer and a backlog was annoyingly beginning to build up. But I could not resist the temptation to listen to the Solaris. And I review and listen to a lot of earphones, each of course is a personal taste but the Solaris certainly caught my ears and much to shock dethroned my daily go to IEM the Andromeda. What was strange is it is not even a sound signature I knew I wanted or was even looking for. It just arrived and captivated me, and it still does. It certainly is a hybrid well done, and having experienced quite a few hybrids I have not overly been impressed or moved by them, either strongly V shaped or lacking coherency. The Campfire Audio Solaris is an altogether new breed of beast. My initial out of the box impressions lacked the wow factor I had from when I listened to Kens well used pair. But as I listen every 24 or 48 hours (I have not been listening every day- helps to track changes) I can hear it changing and moving more towards that first listening experience. Out of the box they are great, get some hours on them and they mature and become excellent. 76 hours on the Solaris and it is starting to open up now and approach the performance of Kens unit I tried at the Tokyo show. The sweet spot was when i reached around the 150 - 200 hours on the Solaris (listening and leaving to play overnight, it does not take so long). Ken Ball recommended a break in time of around 150 hours but I found the sweet spot to be a little further. The Solaris sound is just wow. I love it. Nice full sub bass, bass that is controlled and responsive, great lower mids, even-ish smooth upper mids with a slight dip, nicely extended treble without verging into the no go area of screech, sibilance or faking of space. The sound stage is huge for an IEM and could be described as holographic. Imaging and layering is exquisite and perfect. Instrument placement is mere perfection. Timbre is a bit warm and natural in form. Rich, soft warmth, detailed, air, clarity and resolution. I enjoy how the vocals often sit just above the music, I am not a fan of forward vocals. I want to hear the music also. The Campfire Audio Solaris is an IEM that I have loved since day one. The Campfire Audio Solaris is a solidly made in ear with an excellent cable. Although they may appear robust, and are do take care of your precious. The fit may not be for everyone. I recommend tip rolling to tune the sound signature closer to what you might prefer. Never underestimate the power of tips. 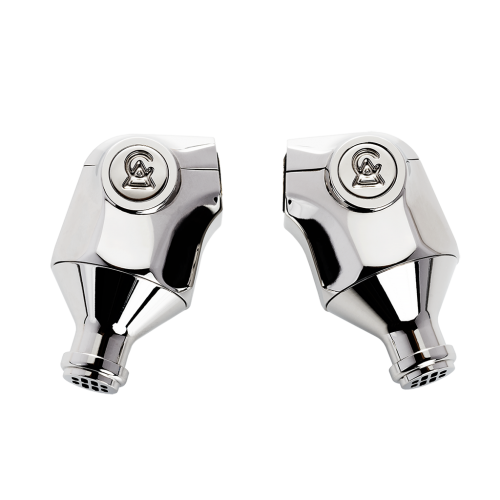 Its a sensitive in ear so it prefers a source from below 1 ohm to around 2 ohms for best results. The Solaris is like having a nice home speaker system strapped to your ears. The Campfire Audio Solaris is one the few totl IEMs that really has made an impression. 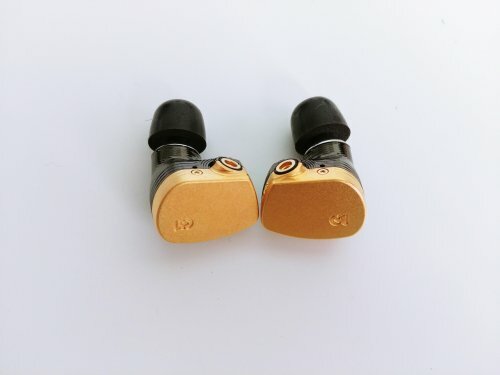 Many IEMs of a similar quality are twice or thrice the price. I really enjoy listening to music with the Campfire Audio Solaris and have a chance to forget about the gear and lose myself in the sound of music. Smooth, nice bass. Like Atlas but vented, no driver flex. Universal demo is a good easy fit. Bass thick and lingering with a fast response, clear treble, more mids than Atlas. Campfire Audio original promotional photos of the Solaris. Music junky, rantng, fiascogarcia and 10 others like this. A loaned unit from my friend. Not a sponsored review. Started this particular hobby since 2016. It is always enjoyable and memorable. This year I decided to accomplish something different - actively providing feedback and opinions in this forum. The friendliness of fellow Head-Fiers make the journey fascinating. 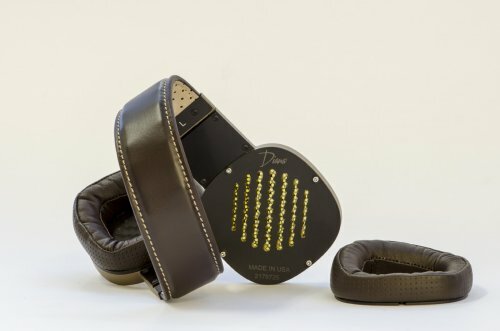 I have been impressed by Campfire Audio for long since the launch of Orion and Jupiter. I can still remember how they created an unforgettable memory with their performance. Started with Tinsel (Balanced and Unbalanced) as their stock cable, move to Litz (Unbalanced) then Cerakote (Ck) coating, Campfire Audio has never disappointed me and I believe most of their fans. 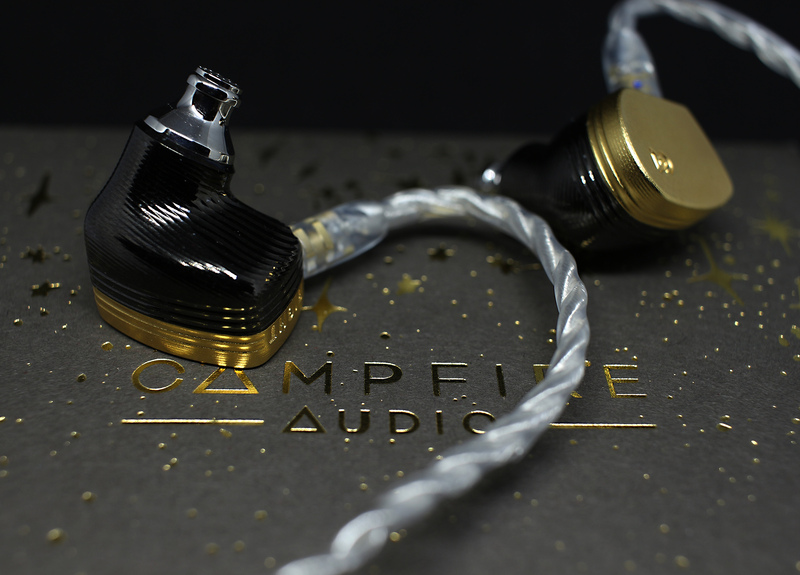 This year, Campfire Audio take a huge leap, announced the launch of Limited-Edition Andromeda S, with stainless steel body and the long awaited Solaris - the new TOTL. I have been waiting for this unit to arrive in Singapore for long and finally I can share my honest opinions with fellow Head-Fiers in this platform. The outer shell of Solaris is 24K gold plated. The colour is closed to Sony WM1Z outer body. The braiding of the new Super Litz Cable looks like Silver Litz which is used on Atlas. The braid is very strong while the flexibility is not compromised. This IEM is relatively big as compared to other Campfire Audio IEMs. Nonetheless, it sits well in my ear and the isolation is good. This is subjective because I have a relatively big ear. Those who have small ears might find it challenging to have a good fit and isolation. 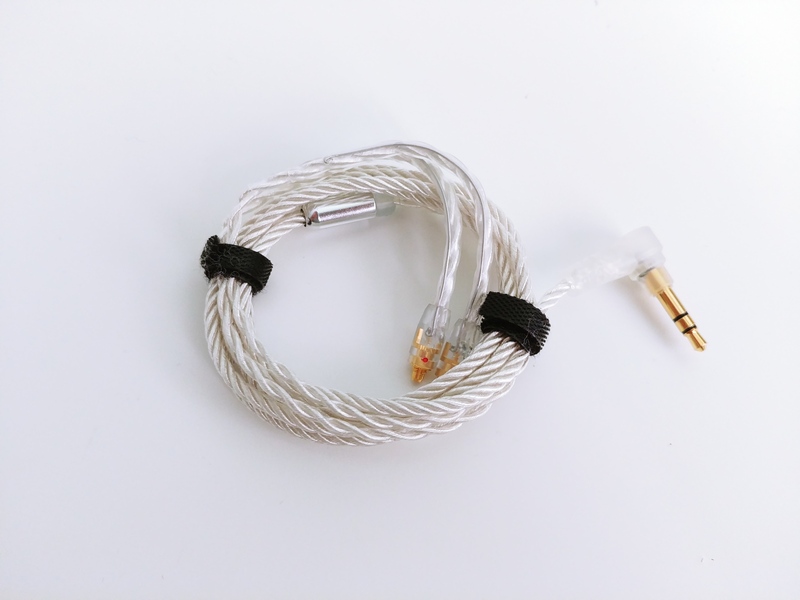 I used Opus #3 and stock Super Litz Cable for this review. This is not a power-hungry IEM, just like other Campfire Audio IEMs. It can be easily driven. Impedance mismatch at the DAP output might cause hissing for this IEM. The sound signature for this IEM sits between fun and analytical. Balanced and smooth across the whole frequency spectrum with no particular emphasis. The soundstage is wide and very precise imaging is performed. It gives me a "wow" within the first few seconds. The depth might be insufficient if you are comparing with TOTL like Legend X from Empire Ears but I believe this can be improved through cable rolling. The bass attacks fast and decays fast. It has sufficient power to hit your eardrum while maintaining the presentation in other frequency spectrum. Simply says, it does not bleed towards the mids. I find the bass slightly lack depth, but this could potentially cause by my DAP. I will continue to try with other DAPs. When listening to Misery from Maroon 5, the few second kicks will definitely make your body shake with the rhythm. The body of bass is rich. People might expect the bass to be like Atlas or Vega but unfortunately it is not. The bass is more well controlled. Not as emphasis as you can find in Vega and Atlas making this IEM more balanced sounding. As a Mandopop lover, I appreciate good vocals – both males and females. IEM that can produce the vocal with dynamic and soul will definitely win my heart. I love how Solaris brings the mids – smooth presentation. It’s neither too aggressive nor recessed. Campfire Audio successfully find the balance. Fascinating. The upper mids are breathy and spacious. When I am listening to Jennifer Warnes’s Somewhere, Somebody, the layering is done flawlessly. Her vocal is silky smooth with soul. Very neutral. Solaris has a well-extended high that is not fatigue causing or piercing. The presentation of the high frequency is gentle, spacious and airy. After long hours of listening, I find myself a little reluctant to remove it from my ears. The cymbals sound crisp in Solaris. Very well-articulated.The highs of Solaris is very similar to Andromeda. If you loved Andromeda, you will love this. I will say Solaris is an upgraded version of Andromeda S which tackles the mentioned insufficient in Andromeda S. It sounds fuller and more dynamic as compared to Andromeda S. This is provided you are interested in a fuller and richer sound signature. The space and air in Andromeda S is more than Solaris so in term of details presentation Andromeda S plays it better. Legend X, being the TOTL of Empire Ears has set a high reference point for other TOTL. Legend X has a deeper presentation, especially in lows. If you were a bass head, go for Legend X. For me, Solaris’ lows impressed me sufficiently and more extended lows will make a negative influence – might crack my mind. Legend X has a smoother presentation. If you need something with better details presentation, go for Solaris. 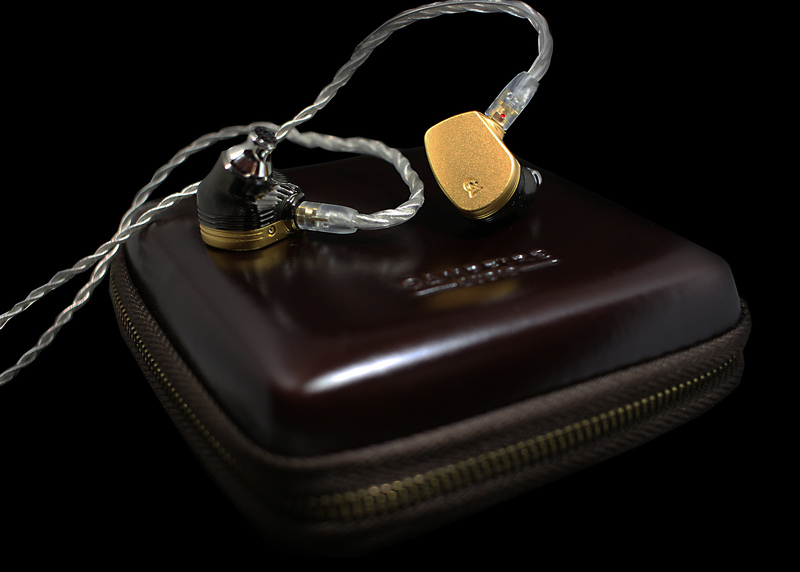 TOTL of Empire Ears EP Series, Phantom has a rich and smooth presentation. This is a close fight with Solaris in term of price. I prefer Solaris – wider soundstage, better presentation in details and more well-controlled bass. I always find the bass of Phantom a little tubby and the overall presentation is blanketed. Solaris is more open overall. Plus one for Solaris! Being a long waited TOTL and high benchmark set by Andromeda, many audiophiles will have high expectation towards Solaris. After spending some quality time with it, I will consider change my daily listening reference to it. It does not disappoint me but impressed me with how it sounds. Well done Campfire Audio, Well Done Solaris! fokta, IneffableMusic, Aslshark and 6 others like this. @Mr.Z I personally feel that Solaris sits between Andromeda and Atlas in term of their sound signature. Solaris is not as analytical as Andromeda while not as fun as Atlas. The lows is more well controlled and the attack is faster. I would describe Atlas lows as a hammer while Solaris lows as a sword. One emphasis on the power while the other emphasis on speed. Great review on Solaris. Would you be able to update the review by adding match on Gold 16 cable? A smooth exciting ride into hyperspace! I have purchased and paid the full retail price for the Solaris, this is not a sponsored review. 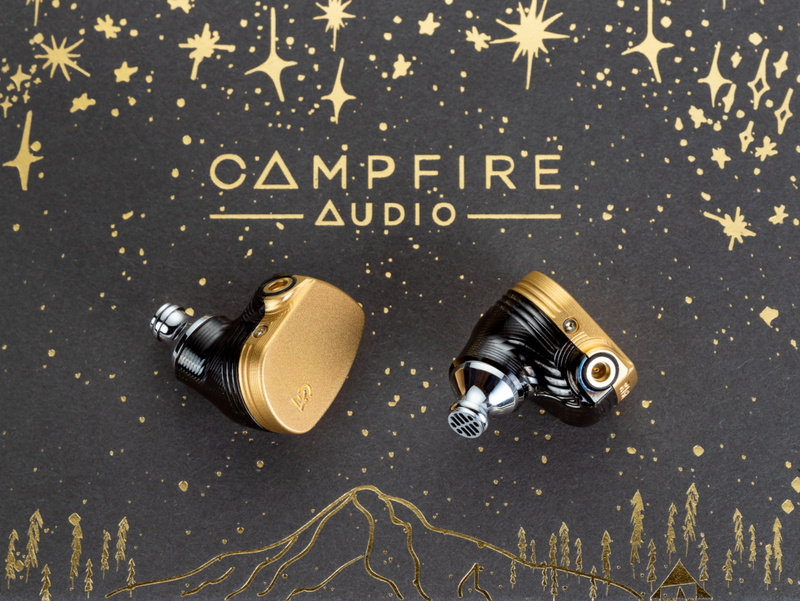 By now, not much introduction is required for Campfire Audio, which is one of the highly regarded company building IEMs since 2015. Fairly recent, although ALO Audio has been around for a while. Maybe what’s less known is that Ken Ball was running a lab as a plant pathologist for the US Department of Agriculture when he decided it was time for a change (recommended read : From plants to Campfire Audio : the story of Ken Ball). Ken literally started from his basement and as a self-taught engineer he is always « trying things not off the shelf, that normal electrical engineers wouldn’t think to do » . So Campfire is basically based on passion and trying out different things. It certainly turned out alright, in a short time span since 2015 quite a few unique and now all time classic such as the Lyra, the Andromeda, the Vega and the Atlas. There is certainly a Campfire house sound that is distinctive from other brands that can clearly be identified despite the very different approach between say the Andromeda and the Vega. Quite a tall order, isn’t it? Let’s see how it checks out! 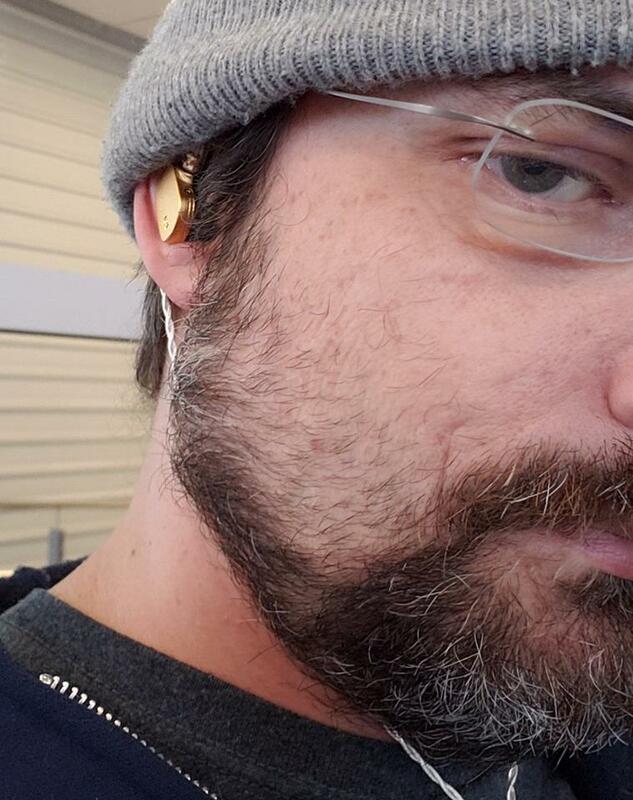 The Solaris shell are on the bigger side, protruding quite a bit from the ears, but luckily remain surprisingly light which means no strain while wearing them. This being said, the sheer size of the Solaris can be an issue with smaller ears and ear canals, and some had to return their units because of a fit issue. The nozzle like the Atlas nozzle is quite big as well and unless you’re like me blessed with larger ear canals deep insertion won’t be possible. In my case, the Solaris is sitting flush, with full insertion and I am using one size smaller eartips. I have found the best fit and seal was the M size UE900 tips, and the comfort is on the high side. Of course your mileage may vary as it's very much dependent on your own physiology. I am not sure I understand why Final E tips are included as I found they affect the SQ, in general I'd stay away from any tip that has a stem narrower than the bore size. Isolation is good but nothing to rave about either (note that I am a low volume listener), probably a side effect of the lighter shell. I still consider this a good design choice as heavier shells would have affected comfort. Given the lightweight of the Solaris, the earhooks of the stock cable were not really needed there and negatively affect comfort in my opinion. I have listened to the Solaris for over 40 hours before writing this review. The unit has been burned in almost 24/7 for over 7 days (so approx 150 hours). 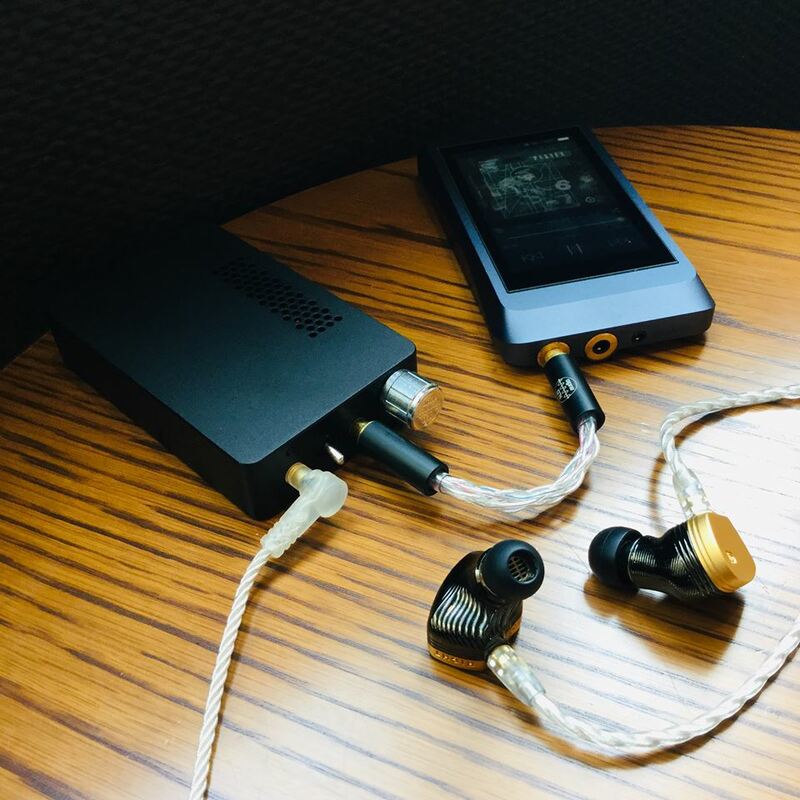 While I mainly use a Hansound Zen (full copper) balanced cable to enjoy the Solaris to the fullest, I have stuck to the stock cable for the purpose of this review. The vast majority of my time with the Solaris is with Sony WM1Z (unit has over 300 hours on it and running firmware 3.0) but I have included select comparisons with other sources such as Mojo, Oriolus BA300S and ALO CV5. The Solaris have a highly engaging signature with a grandiose presentation relying on a great holographic soundstage with pinpoint precise imaging and an onion like layering. They feature lively treble, rich and articulate mids, a solid bass foundation all within a smooth delivery that make it non fatiguing with even the most energetic and/or busy genres. 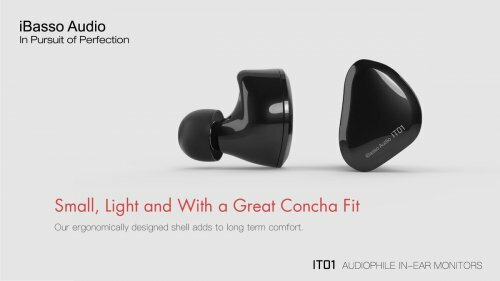 All of the above qualities make them fantastic all rounders that can give you great listening experience with a variety of genres. While Solaris will shine on better source material, it’s quite forgiving of lesser recordings, making it all the more versatile as basically everything will sound good provided you have a good source. I am more a Jazz, Indie, Blues and Folk kind of guy and I was absolutely excited by the Solaris on those genres but I found myself listening to a lot more Rock, Metal, Dance, EDM and Dubstep than I would have thought when reviewing the Solaris. Initially meant to tests how it handled those genres but I took so much pleasure getting back to those genres that I ended up rekindling with entire albums altogether. I had a similar experience with the VE8 especially with Rock and Metal but the taller and deeper soundstage provided extra air of the Solaris helped listening for longer period of time and with more excitement. The extra sub bass presence and extension of the Solaris vs VE8 did also help there, as well as even more lively treble with more weight. I can see your reaction « but why isn’t the bass in there? » as many would expect something very special with the driver from the Atlas, with a lot of wowing power and impact. Well, this wasn’t what initially struck me. I value my first impression even if the unit was not burn in those raw first minutes will usually be interesting nonetheless. Ken recommends at least 5 or 6 days for the dynamic driver to be fully burnt in and given my experience with the Vega I knew this was clearly something to keep in mind. Here is the surprise though : even out of the box, the Solaris didn’t sound « unruly » as its Vega brother. The bass clearly has good control out of the box, with great textures and detail. If anything the bass out of the box is almost too sensible, I found myself wishing for more impact. The bass is well extended with subwoofer like sub bass, with no saturation even on the most sub bass heavy tracks. 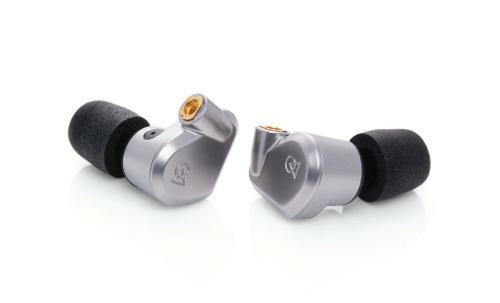 The LCD i4 is the only other « IEM » that provided a similar experience in the sub bass. But the Solaris has in my opinion even better bass than the LCD i4, there is more detail and control, probably also by way of a cleaner bass tuning with less mid bass emphasis. The flipside is that you loose some oomph factor in the mid bass and I won’t lie, I wished it had a tad more impact. You can’t get it all and the bass quality is off the charts with the richest bass textures and layers I ever had the pleasure to listen to. This is especially important when listening to classical or Jazz where for instance double bass sound as good as they ever will in my opinion. There is a very tactile feel to the bass. Burn in definitely made bass tighter and after a 100 hours or so I didn’t notice further improvements. The Solaris bass is in my opinion bass done right, but bass-heads might better go the Atlas or Legend X way as bass quantity and impact might be found lacking depending on the genre you listen to but also on your source. The above is true with WM1Z (firmware 3.0) but several listening sessions with the Mojo gave me a hint that other sources might provide different synergy and results. More on this in the Sources matching section. The Solaris mids are very musical striking a very nice balance between articulation and smoothness and the right amount of body and weight to have presence but not too much in order to keep the right separation. Vocals are just slightly forward enough to be in front of the instruments but I wouldn’t call the Solaris forward by any means. This is subtle. Timbre is very natural, with a slightly warm tone that makes the Solaris very musical. The lower mids are emphasized just enough to give male vocals satisfying power but not overly so as not to lean towards a darker signature. The upper mids on the other hand are clearly tuned for smoothness, but are neither recessed or muddy as the Solaris has good clarity and female vocals are beautifully portrayed with a touch of sweetness. There is no hint of sibilance whatsoever even with the worst tracks I had handy. As across all range, layering is great. There is a richness to the sound and an overall sense of realism and accuracy. I find it very interesting given the profile of the mids (neutral warm) that Jazz and Classical sound so great, as usually thinner sounding IEMs fit the genre better. The Solaris is not thick per say but it does have body and weight combined with a lot of air, separation is more by way of its vast soundstage so it doesn’t need to rely on a thinner signature to make complex music sound articulate. On top of this, contrary to the bass and treble, I found the mids have interestingly a sharper attack with more snap, you get satisfying crunch and whack. There is clearly something unique there that feels so engaging to me. The highs are very exciting while never harsh or hot, both attack and decay are smooth. There is plenty of detail and a lot of sparkle, contributing greatly to the engaging nature of the Solaris and bringing a lot of air. Treble is not slow but nor is it the fastest treble around but it has distinctive weight and body making it also very "tactile" (for lack of a better word). Percussion have never sounded better to me, and hi hats are really something I never thought I’d enjoy so much. It's the first IEM since the VE8 that has me wowed by treble… Last but not least, note linger beautifully when called for, somewhat reminiscent of my experience of Final Audio Heaven VI. 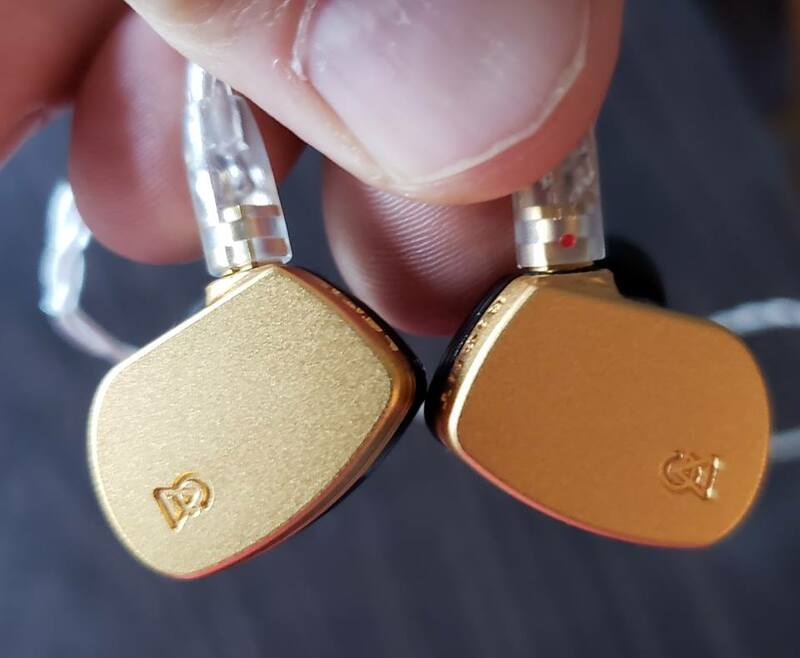 In my opinion, the Solaris treble are key to the emotional nature of the IEM, as well as bringing balance and excitement to a very smooth signature. Note : I ran the DX120 with reference sound mode and super slow roll off filter, with the stock cable balanced. This was an interesting pairing, quite different from WM1Z, a leaner more reference sound with a twist as the DX120 has more mid bass than the 1Z (with firmware 3.0) providing more kick there and more treble sparkle as well thanks to a colder tone than the 1Z. The lower mids are leaner, making for a cleaner but less musical presentation to my taste, I prefer a fuller sound, but I am nitpicking and that's really an unfair comparison to begin with. If you're into a reference musical signature, the DX120 with the Solaris will be a highly portable combo. I think that the DX120 is not too far off from the DX200... not really as pure reference as AMP1 but not as warm as AMP3 either. Mojo has more mid bass so you do get some extra kick which no doubt will satisfy bass-heads better but to me you loose in the exceptional detail and textures that makes the Solaris shine in terms of bass quality. There is more lower mids and upper mids are smoothened a bit which make the Solaris warmer, darker and less articulate. The Mojo loosing at least 20% soundstage vs the 1Z also affects the separation making it a less than ideal pairing especially for Jazz and Classical. A lot of the WM1Z / Solaris magic is lost there. Treble looses quite a bit of sparkle compared to the 1Z, it's good but nothing to rave about. With the Oriolus BA300S plugged into the WM1Z, things get interesting as the BA300S extra power is significant with 700mW into 16ohm while the balanced output of the 1Z in high gain tops out at 250mW into 16ohm. That's on paper, how does it translate in real usage? Short answer is, the Solaris scale very well even with this mid tier tube amp which again shows that even low impedance and high sensitivity IEMs can benefit from extra power. With the BA300S, the Solaris clearly enjoy extra driving authority in the bass department, scratching the little itch for more bass impact with a bonus of even richer textures and detail similar to standalone WM1Z. This could probably also be credited to an even lower output impedance of 0.3ohm for the BA300S over the 0.94ohm of the 1Z. The Continental v5 is another step up the ladder source, with high grade ESR capacitors and a 16V power supply providing a +/- 8V voltage swing. It's also more versatile as it allows for tube rolling and while the baseline amp signature remains consistent you can tweak it significantly enough to adjust pairing with your IEM. Compared to the Oriolus BA300S, running with the 1Z the CV5 demonstrate greater authority yet and although it's not a balanced implementation the soundstage is significantly wider and a little deeper. There is significantly less hiss than the BA300S as well. With the default 6111 stock tube - same as the BA300S - the presentation is tighter in the bass, mids are leaner with less body a very clean presentation and the treble is both better extended and more refined. I found myself wishing for more weight and body and a bit of warmth that I do have from the 1Z alone. This is even more striking with the DX120 as source for the CV5. I rolled to the 6832 tube and this is a much better pairing with the Solaris, significantly more bass kick and mids are fuller with satisfying body and weight and treble tone is more pleasing. Textures are also a step up from 6111. Overall not that much warmer than the 6111 though but much more musical to my ears. This is a fun combo with a lot of energy. Switching to CV5/6832 with DX120 as a source, definitely more kick in the bass but more treble presence as well and leaner mids than from 1Z. The best sounding combo source for the Solaris so far has been WM1Z with the CV5 (6832 tube), you basically retain the 1Z qualities adding quite a bit of headroom which benefits the macro dynamics significantly, the CV5 being quite the lively amp to begin with. Soundstage gains another 10% or so compared to 1Z alone, making for an even grander sounstage. The 1Z alone is a tad more laid back and will be the preferred set up for late night listen. I look forward to audition the Solaris with the DX200, SP1000 or Hugo 2 in upcoming meetups as I suspect synergy will be very good and different from 1Z. I'll keep you posted. First of all, the Solaris does respond well to be run balanced, soundstage and imaging are further improved with better separation. I'll soon post comparison with the stock cable balanced as Campfire kindly provided me with one when I asked to order an upgrade. With the 4 wire Hansound Zen, bass is a bit tighter and more textured. Note that the Hansound Zen has a subtle effect on the signature compared to the stock cable, it's not a colored cable that makes the Solaris much warmer or bassier. It's fairly transparent with the following improvements : bass has a bit more impact and is a bit tighter overall, mids are largely similar to the stock cable with slightly more body and highs have a little less sparkle and a tad warmer tone. I find there is good synergy for my taste. The 8 wires Hansound Zen improves this much further up to the point I wouldn't even consider it's in the same tier as the 4 wires. It probably has to do with a much lower cable impedance that 8 wire design usually features and the Solaris responds very well. I had to lower the volume by 10% to achieve the same SPL. On the downside there is a noticeably more hiss, but nothing that would affect the listening experience other than critical listening on very very quiet passage in tracks. With the 8 wires, the soundstage is wider and taller but more importantly much deeper. Bass is more layered and has gained even more textures, it was already very good but the 8 wires takes it to elite territory. This is something to behold. Both macro and micro dynamics are also in a different ballpark and quite honestly I am reaching the levels of SQ that I had never experienced so far with any gear I have owned. The Solaris sound even more like a full size headphone, so open, that my brain is reconciling the sound is coming from IEMs. Transparency and clarity is also better and the Solaris show its technicality a little bit more. In Star Wars : A new hope, Han Solo said « Traveling through hyperspace ain't like dusting crops, boy! Without precise calculations we could fly right through a star or bounce too close to a supernova and that'd end your trip real quick, wouldn't it?». To me, buiding an hybrid is a bit like travelling to hyperspace, it's very easy to go wrong and quite hard to build something as highly coherent as the Solaris. Metaphorically speaking, I am glad Ken did his calculations right and propelled us into hyperspace, and the trip is nowhere near its end there are many galaxies yet to explore and countless hours of fun. Never had an IEM sounded so speaker like in the way it presents music, a big sound much more akin to full size open back headphones than any IEM except the LCD i4 which is arguably not really an IEM with its 30mm planar driver and his open back. It’s no small feat to have accomplished such soundstage and imaging with a closed back IEM, very few have managed this (U18t comes to mind) let alone on the warmer side of the force. This combined with a smooth and engaging signature help the Solaris bring you into the music and when you realize that you’re more often than not forgetting time and space, you know something special is happening. 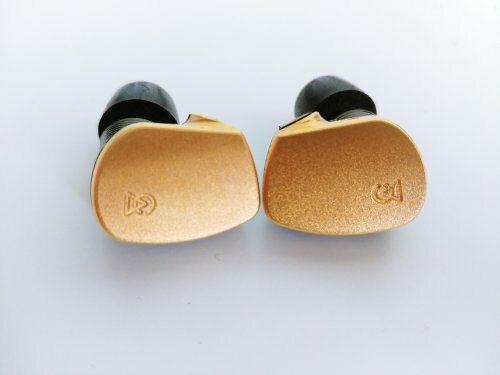 If you’re looking for an IEM with world class holographic soundstage, pinpoint precise imaging, quality bass (with subwoofer like sub bass), transparent mids and exciting while non fatiguing treble then you’re in for a very singular experience with the Solaris (actually the first title of this review was : It's a kind of magic!). If you’re looking for a bass-head experience, a good low OI amp will help but you’ll probably be best served looking towards the current kings namely Atlas or Legend X as I don’t believe EQ’ing or a bassier source will change this for you without loosing the distinctive bass qualities (detail, textures, layering) that in my sense make the Solaris pretty unique. I can only compare with what I own or have owned long enough (several hundred hours of listening) but here are a few select comparisons. Unfortunately I have never owned or auditioned Andromeda so this much expected comparison will have to wait for other reviewers to chip in! There are some commonalities between the Solaris and the LCD i4 : a huge soundstage, great sub bass extension, smooth signature. Granted the LCD i4 edges out the Solaris in terms of soundstage, but not by much which is quite a feat. Sub bass extension is similar although the Solaris has more impact due to its closed back nature. The LCD i4 has more mid bass the Solaris has cleaner more articulate bass with more detail, while the LCD i4 has a tad better textures and a clear advantage in speed. The Solaris mids are more transparent than the LCD i4, with leaner lower mids and upper mids are clearer and more articulate providing more bite as well as more detail. The LCD i4 is warmer. Treble are very different, despite being similarly extended the Solaris is much more exciting by way of its lower treble tuning. To me the Solaris is much more engaging, the LCD i4 missed out on the opportunity to have more articulate mids (upper mids are too smoothed out) and more treble sparkle. Both the VE8 and Solaris are fantastic all rounders with a very musical and smooth tuning. The VE8 is faster, with shorter decay. Mid bass is more prominent on the VE8 with better kick but sub bass is better extended on the Solaris with that subwoofer like quality. Both have a smoother attack, neither has hard hitting bass. I think the Solaris bass is overall more balanced with leaner mid bass and more sub bass presence. Mids are interesting, the Solaris is slighgly warmer than the VE8 I find a tad more lower mids on the Solaris and on the flipside a tad more upper mids on the VE8. Notes are bigger on the Solaris, there is more space between instruments by way of its soundstage which is considerably deeper but similarly wide. Maybe the VE8 is a bit taller there. The VE8 has slightly more body and weight, the Solaris mids on the other hand breathe better. Both have highly coherent mids, no strange peak and a smooth experience. Treble : both are sublime but with a different take. The VE8 treble is smooth and has good sparkle, with great speed it's airy and feathery a very delicate and refined presentation of the treble. I'd say upper treble are as good as it gets and lower treble is tuned for sparkle with just enough excitement. The Solaris has more weight to its treble, but it's not as fast. It's an exciting treble with an emphasis on lower treble while upper treble while very very good takes a back seat to the excitement and sparkle. IMHO the Solaris walk a very fine line pushing treble excitement as far as it can while never sounding harsh or fatiguing... 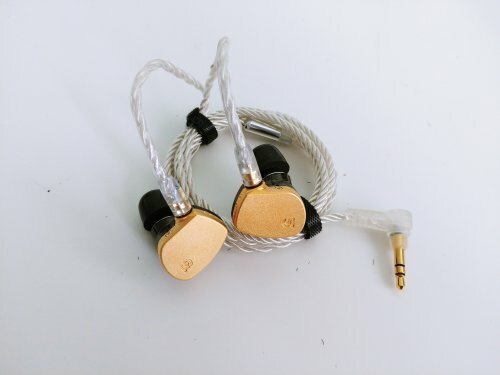 The VE8 was the first IEM that made me realize I loved good treble. The Solaris does the same, showing me another path to exciting and smooth treble. This makes both IEM very emotional. This will sound strange as it’s BA vs DD but I find although it doesn’t extend quite as low as the Solaris, the Phantom has more bass impact thanks to sharper attack and more kick in the mid bass. There is more rhythm to the Phantom, it’s more physical while the Solaris is more mature with a more refined bass presentation providing more detail and textures. The Phantom mids are thicker, warmer and more forward. It has a tad more lower mids, but more importantly the Phantom has upper mids tuned for clarity : a necessity given the lesser treble sparkle, that prevent the Phantom to fall into darkness so to speak. The Phantom mids have more power and their presence is felt while the Solaris has more transparent mids with upper mids tuned for smoothness as the treble is providing the air and clarity to its signature. Both the Phantom and Solaris have unusual weight and body to their treble, but the Solaris has much more sparkle and it’s treble tone is brighter than the Phantom. The Phantom lower treble is much more conservative where the Solaris is playful. 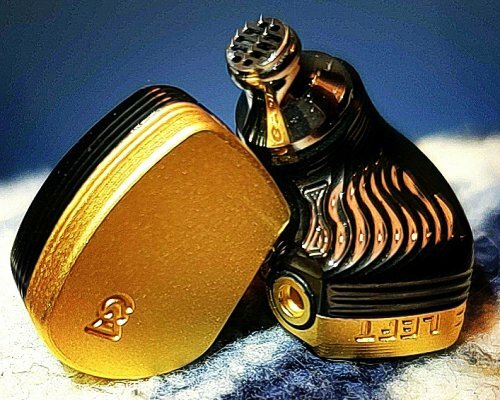 The Phantom engages you with its bass kick while the Solaris is giving you shivers with its treble. Solaris separation is better than the Phantom while remaining just as coherent there is simply a lot more air by way of its much bigger soundstage. Imaging is great on both but simply sounds better because the image itself is much bigger and deeper on the Solaris. The EX1000 is brighter than the Solaris, those are two different signatures. The EX1000 is more neutral bright to my ears while the Solaris is neutral warm. The EX1000 can be a bit harsh at times (although a copper cable will help), the Solaris is as smooth as it gets. Both have a high level of detail but the EX1000 is focused on sharpness and Solaris on smooth delivery. Both have great extension, the Solaris has more kick in the bass but they share good bass texture with a high degree of naturalness. The EX1000 is faster with quicker decay. The Solaris mids are thicker there is more body and weight and lower mids have more presence. Both have great articulate mids but the EX1000 upper mids are clearly more prominent. The treble is very extended on both, but the presentation is very different. The EX1000 is thinner, with more upper treble presence, it's a airy treble with quicker decay. Resolution is better on the EX1000. The Solaris has weight in the treble, it's has more texture and has more impact. Lower treble is more prominent on the Solaris but always smooth and sibilance free contrary to EX1000. Both share a great soundstage, I think the EX1000 is wider or appears so because it doesn't have the great depth of the Solaris, also the Solaris soundstage is taller and overall more holographic. The Solaris is bigger sounding probably also thanks to that deep reaching sub bass. raypin, dhc0329, tamleo and 72 others like this. Hi @davidmolliere do you really think the ex1000 is that good? it is just a sub-$500 iem compared with the Solaris that has way more tech and price..
Hi @davidmolliere do you have any recommendations of upgrade balanced cable for solaris? Thank you! Great review on Solaris. Would you be able to add the match with gold 16 cable?